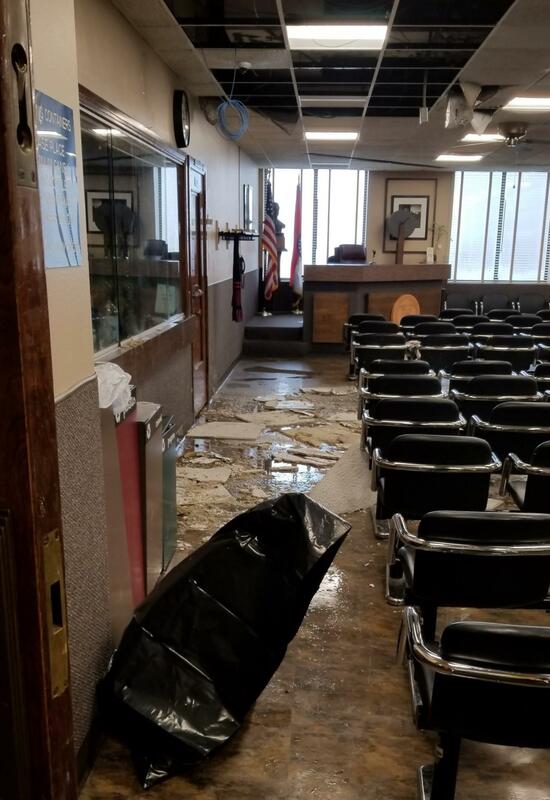 Jackson County Executive Frank White announced Thursday the downtown courthouse will remain closed until February 19, due to extensive damage from water line breaks. The Jackson County Courthouse will remain closed until February 19. County Executive Frank White announced the decision Thursday at the Independence, Missouri, branch of the courthouse. 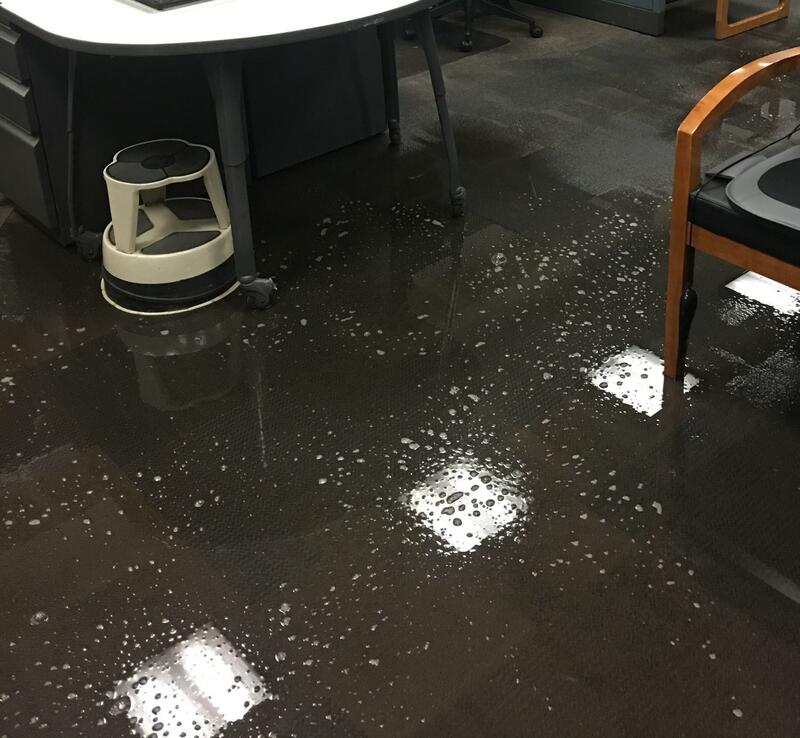 Many services and court hearings have been temporarily transferred to Independence after two water lines broke in less than a week at the downtown Kansas City location. County officials say the repairs will deal largely with water damage to floors, ceilings and furniture. "This will allow our team to continue to work without interruption. The damage to the courthouse is extensive," White said. Public Works Director Brian Gaddie said the electrical, mechanical and plumbing systems that operate out of the basement took the greatest hit. "As far as the courtrooms go, and the chambers and support services, [the damage] was majority aesthetic," he said. "We're not dealing with a whole lot of damage, we're just dealing with area of damage." The basement flooded last Thursday from a nearby water line break. The repairs will largely address water damage to walls, ceilings, carpet and furniture, Gaddie said. Despite the fact that the courthouse has been closed since last Thursday, White said he wasn't worried. "We really didn't miss a beat," White said. But, some worry how the extended closure could impact inmates at the Jackson County Detention Center. Overcrowding has been an issue at the jail, which was built to hold 524 inmates. A grand jury report released last May found the jail houses around 900 inmates daily. According to two other reports released in January, nearly half of the jail's pre-trial inmates are released after 29 days in custody. One of the reports recommended reducing the "unreasonably long" wait times to help alleviate overcrowding. Prison ministry volunteer Jann Coulson, who works with families of inmates at the jail, worries the closure could make that problem even worse. "The courthouse has been saying, 'They're just going to have to re-do your court date, which I'm sure causes a lot of anxiety for people who have not had positive experiences with court efficiency in the past," Coulson said. But David Byrn, presiding judge of the 16th Circuit Court, said they have added dockets and hearings to the downtown Criminal Justice Center to ease the caseload. "We're trying to add as many cases at that building as we can because what we don't want to do is delay those hearings for the people at the detention center, nor for the victims that are involved in those cases. They all deserve to have their cases heard promptly." Byrn also said they've added electronic communication at the jail, so hearings can be held remotely and inmates can connect from the jail. White said he does not yet know how much the repairs will cost. Andrea Tudhope is a reporter at KCUR 89.3. Email her at andreat@kcur.org, and follow her on Twitter @andreatudhope. It's pretty much unanimous now: The Jackson County Detention Center needs to be replaced. That's according to two new, separate studies released Friday afternoon. Voters who waded through a maze of questions said 'yes' to several changes to the charter for Jackson County, Missouri, though many others didn't pass. The fight over how or even whether to change the Jackson County Charter won't end after the November election. Instead, the debate will stretch into next year. County Executive Frank White confirms that he will appoint a charter change commission that will most likely start work in January.